We stop Meloxicam because it is almost run out. Keep it just in case he feel pain during night. We offer new orange juice and he drinks it well. He eats water-soaked pellet, hay and iceberg lettuce. 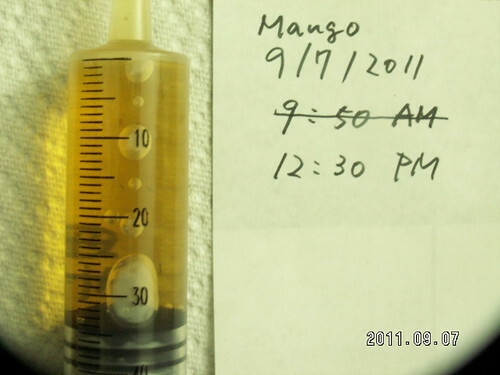 He passes ~40ml urine, yellow. 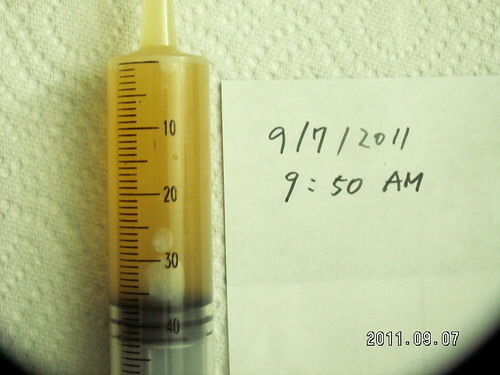 Get a call from Dr. Ph.D Keller about result of urine test. 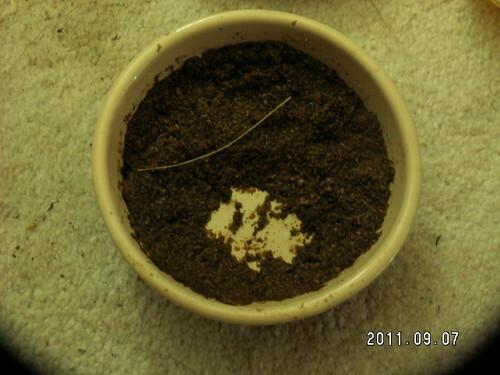 His urine is quite normal, and no blood cell is found. We keep current medication and our eyes on his urine. He dropped just a few feces from this morning, but still his intestine is moving well and now his stomach is full. Now he prefer lettuce to cilantro and parsley.